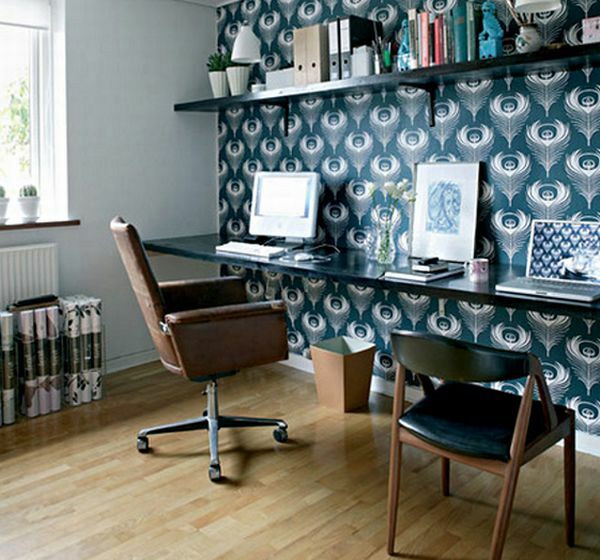 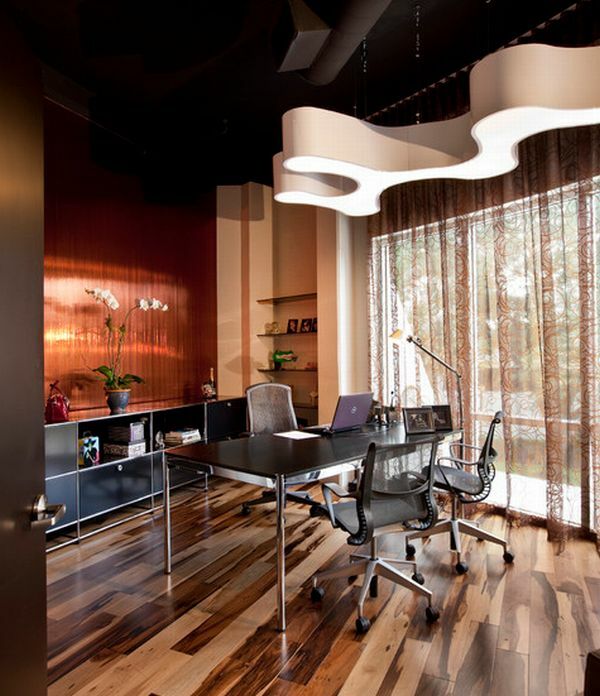 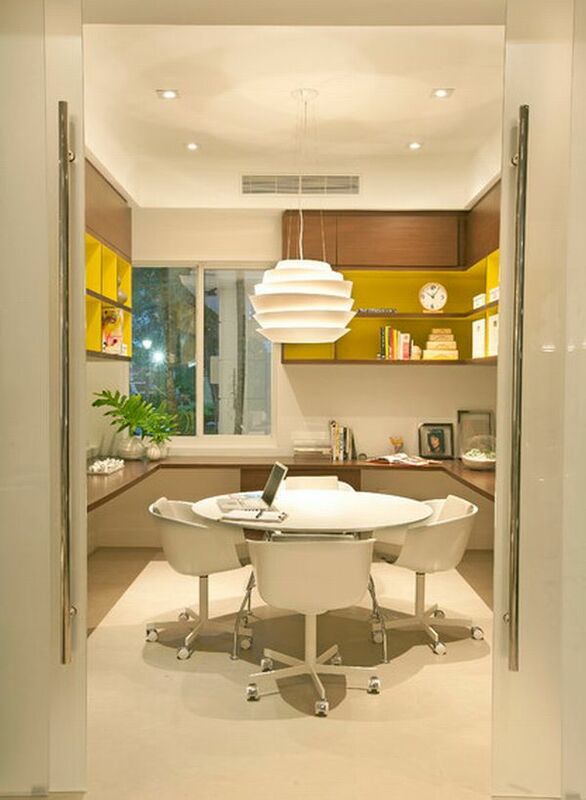 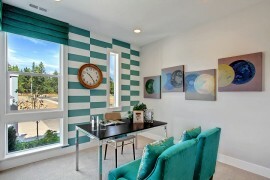 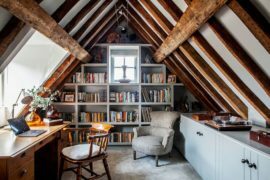 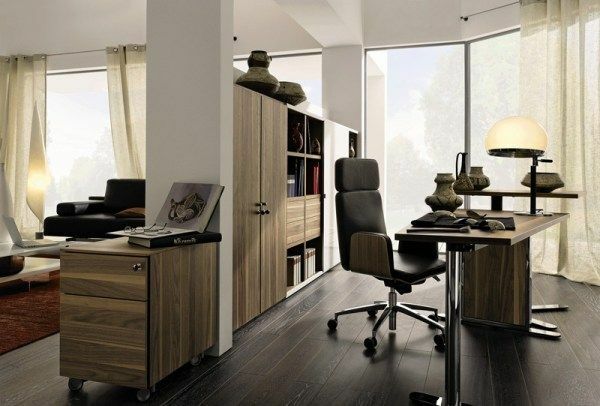 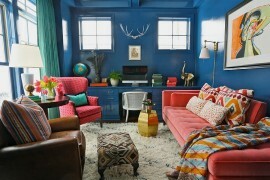 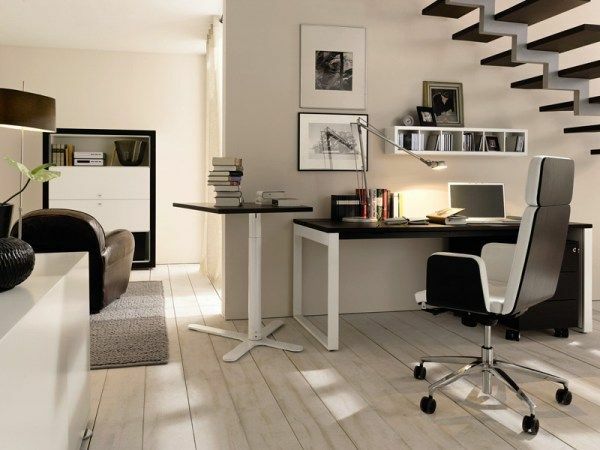 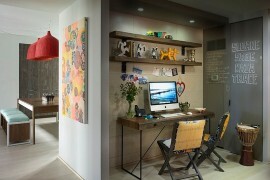 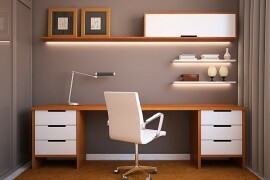 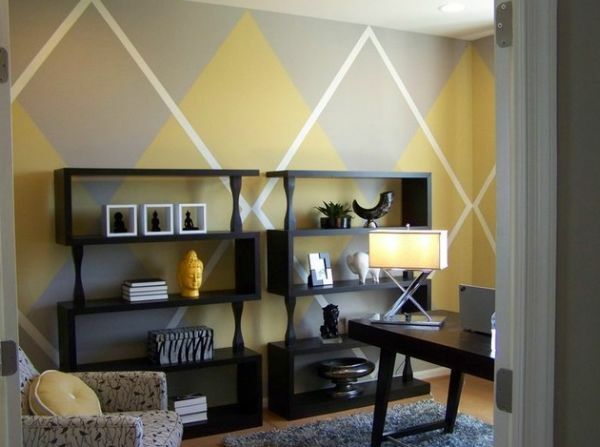 Here is a home office idea that most of us can pull off and is perfect for every modern home. 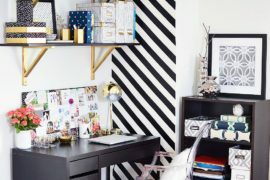 The lovely use of color along with the floating wall mounted work station and the shelf above make it perfect for any small space. 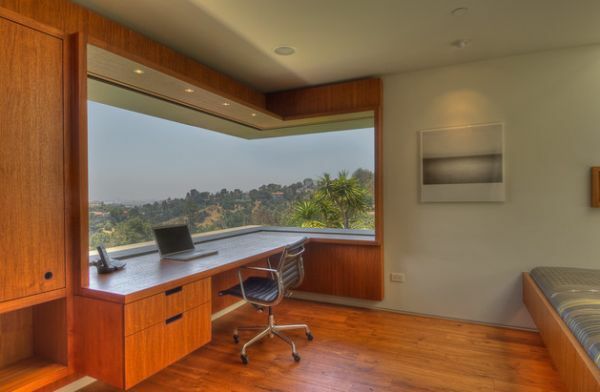 The presence of an adjacent window always helps when it comes to natural ventilation. 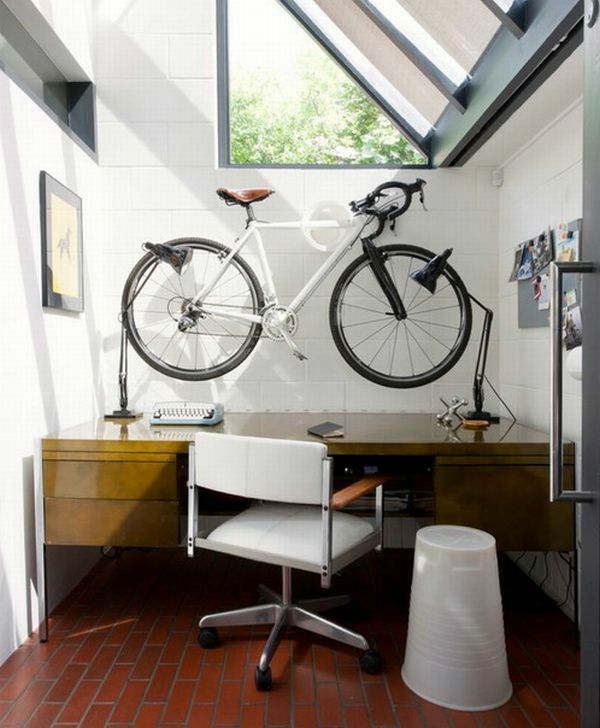 Space conscious home office with sloped windows and a bicycle mounted on the wall!